Pink. You’ve gotta love it. And when I see a pink product my eyes go all 😍. 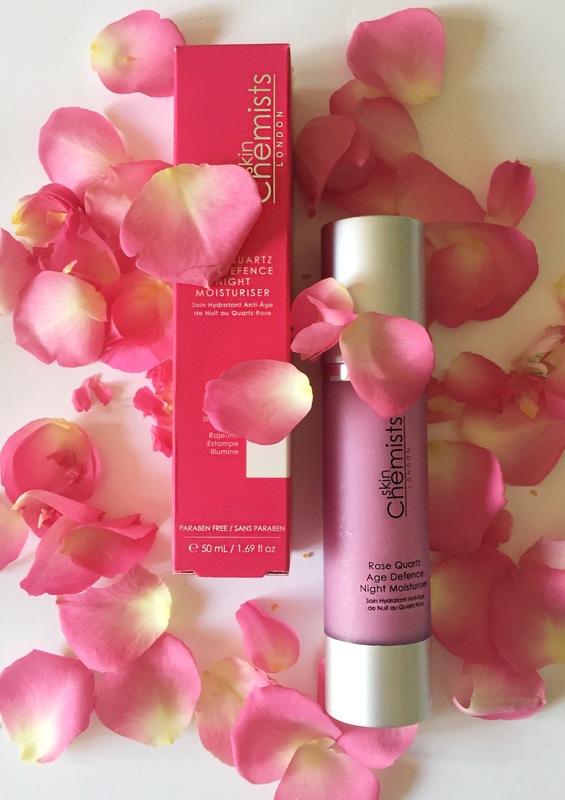 A little while back I tried out Skin Chemists Rose Quartz facial oil (find the review here) and really liked it. When the team sent me four more products from the range for Rose Quartz month I couldnt wait to try them out. So what is Rose Quartz? Used holistically for hundreds of years, Rose Quartz is revered for its healing and comforting properties. The stone of unconditional love, it aims to prevent impurities and dead skin cells settling on the skin, to reveal soft, fresh and youthful skin. 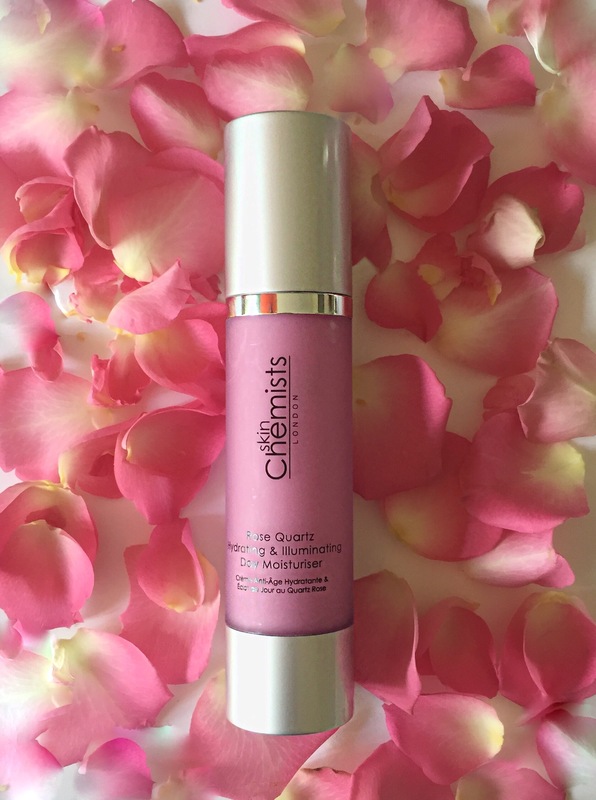 According to Skin Chemists, the Rose Quartz Hydrating & Illuminating day moisturiser is formulated with nourishing and hydrating actives, to smooth, illuminate and refine the skin while protecting against daily environmental damage. A product to be used first thing in the morning as part of your skincare routine, I found it to be very easy to use, easily absorbed into the skin and with a really lovely fresh floral fragrance…it really does make you feel all rosy! 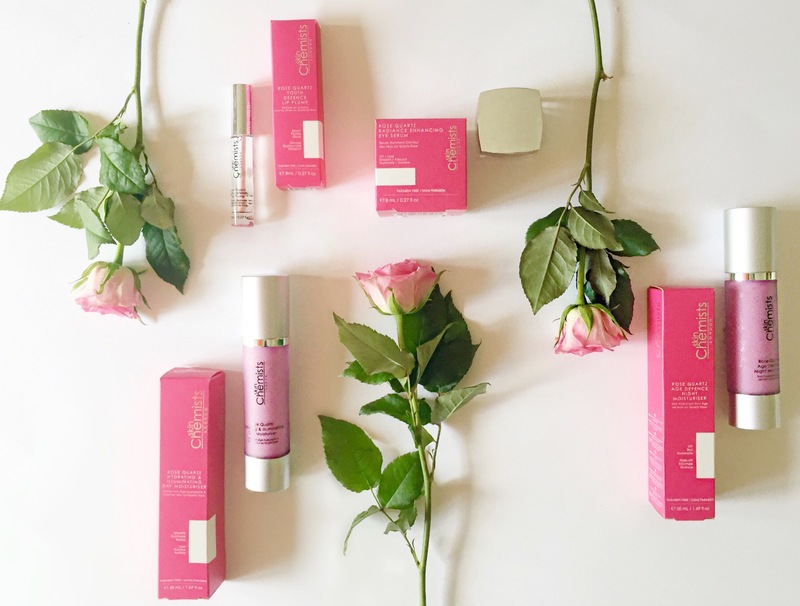 As with all the Rose Quartz range it quickly made my skin feel very soft and smooth to the touch and definitely plumped and nourished the drier areas of my skin. 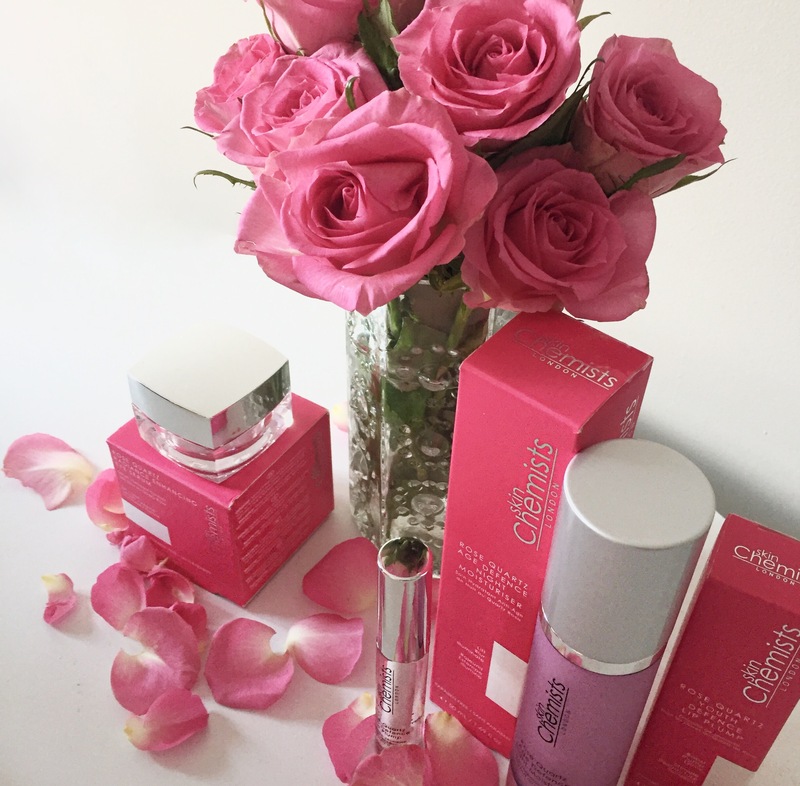 3) Rose Otto Oil – to restore moisture balance in the skin. Its anti-bacterial and anti-oxidant properties aim to repair and protect the skin, whilst firming and toning. 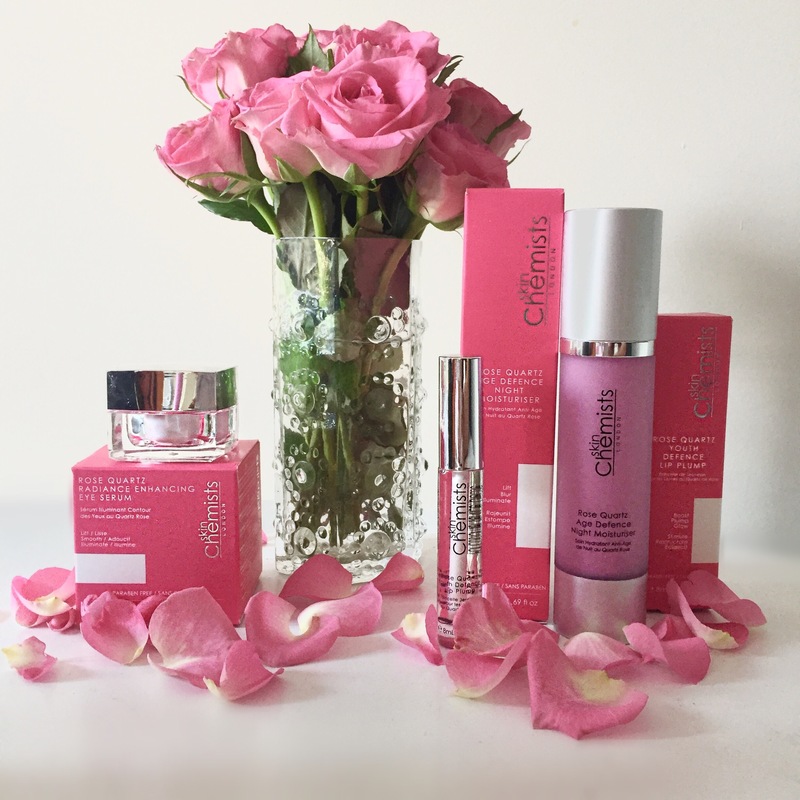 As ever with the Skin Chemists range I found the packaging visually appealing (its that love of pink thing again!) and the pump-action dispenser very efficient to use. The main things I liked about the product was its lovely fragrance as well the very soft feeling it gave my skin. Did it make my fine lines disappear? A little maybe, but it definitely gave me a lovely illuminated glow and really softened my skin and I think that is due to the formulas promise of removing dead skin cells and as a beauty product fan I’m happy with that. Skin Chemists have been incredibly generous in giving readers of my blog the code SARAH1 for an amazing discount of over £50 off the RRP of £74.90 plus free shipping throughout June – at that price you can’t go wrong! Buy Rose Quartz Hydrating & Illuminating Day Moisturiser here. I have also been testing the Age Defense Night Moisturiser, the Radiance Enhancing Eye Serum and the Youth Defence Lip Plump. Want to know what I thought? Age Defence Night Moisturiser – this ultra-smooth moisturiser is designed to give the skin an extra boost while you sleep, resulting in a vibrant and healthy looking glow. My verdict: I found this a great feed for my face plus I found the scent very relaxing and helped me drift off to sleep. 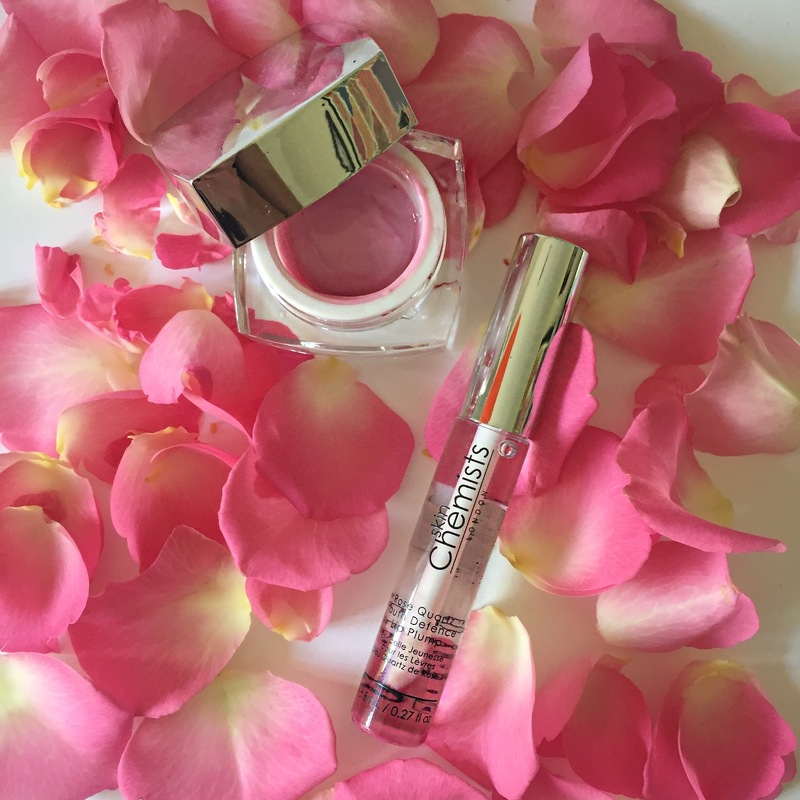 Youth Defence Lip Plump – bursting with active ingredients, the formula aims to plump and nourish lips, resulting in a more supple and hydrated appearance. It aims to visibly improve the shape, texture and volume of your lips. My verdict: after getting used to the minty cold feeling I liked this as an occasional use product to create a more pouty lip look. Find the full Skin Chemist range here. Remember if you want to try anything reviewed in this blog, use the code SARAH1 to purchase it for 60-70% off the RRP throughout June. Give it a go…what have you got to lose?